Silvia: hi Ryo-san, and thank you for agreeing to this, I am so glad! 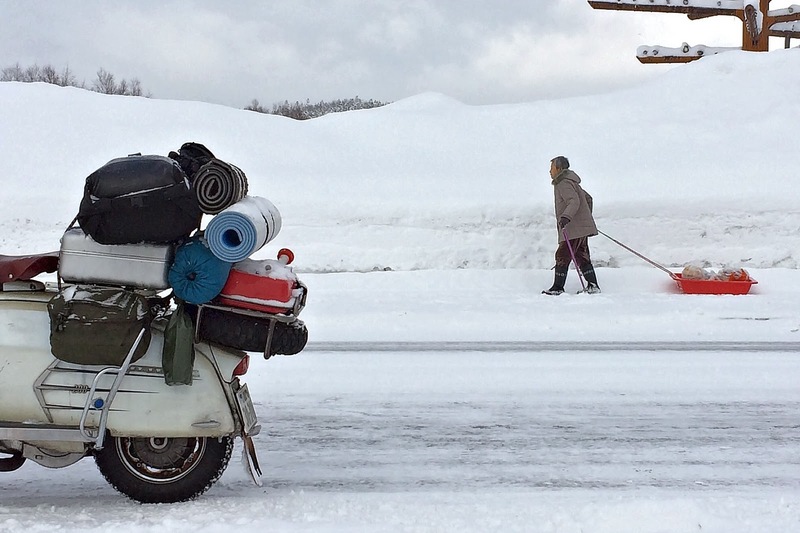 I love your travel pictures and I am quite addicted to your instagram feed. first of all, tell us something about yourself: how old are you, where do you live and what do you usually ride? 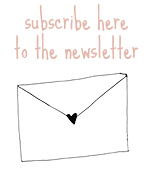 望月リョウ : thank you Silvia. I am 41 years old and live in Kanagawa, Japan. I'm passionate about the 60s fashion, with no exception for motorcycle. I have a 1997 YAMAHA BRONCO (bought 20 years ago), a 1962 HONDA super cub C100 (23 years ago), a 1960 BMW R50 /1 (16 years ago) and a 1966 LAMBRETTA SX200 special (12 years ago). 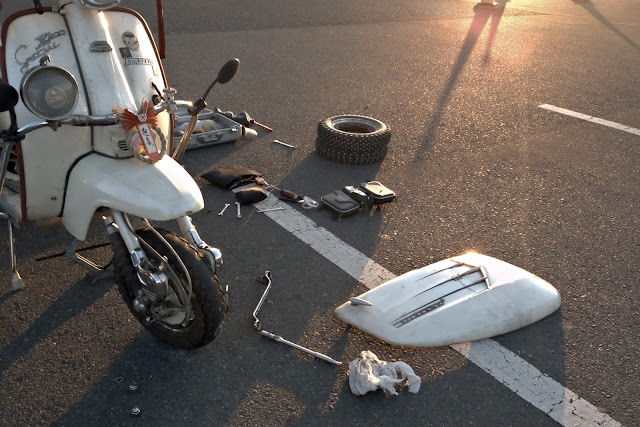 Silvia: do you consider yourself an experienced rider? 望月リョウ : I've driven on snowy roads for the first time three years ago, this has been my third snowy road trip. 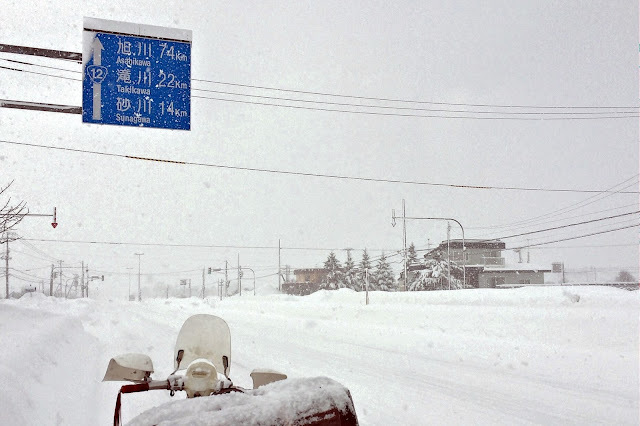 Silvia: how long was your road trip to Hokkaido? 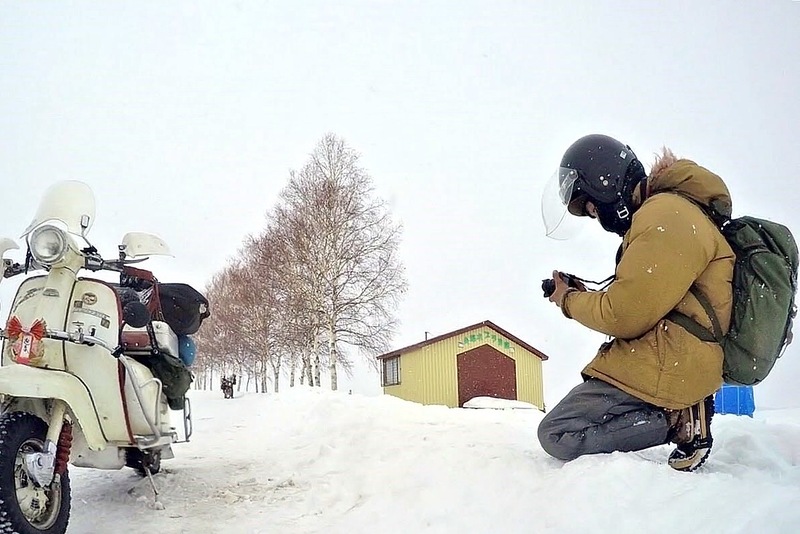 from where to where did you ride? 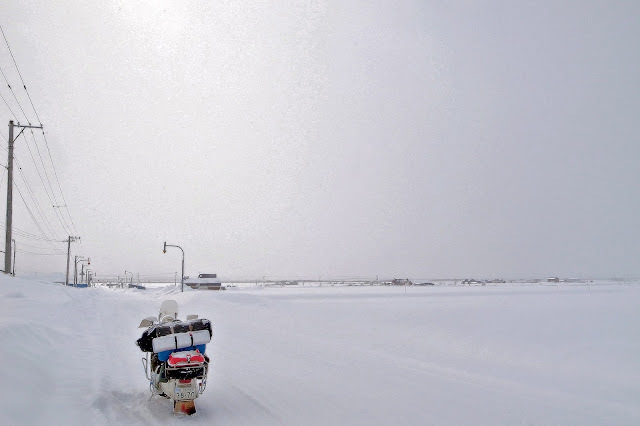 望月リョウ : I took a ferry boat from Oarai (Ibaraki prefecture) to Tomakomai, in southern Hokkaido. then, rode all the way up to Cape Soya. the whole journey was about 1400 km, 800 of them on snowy roads. 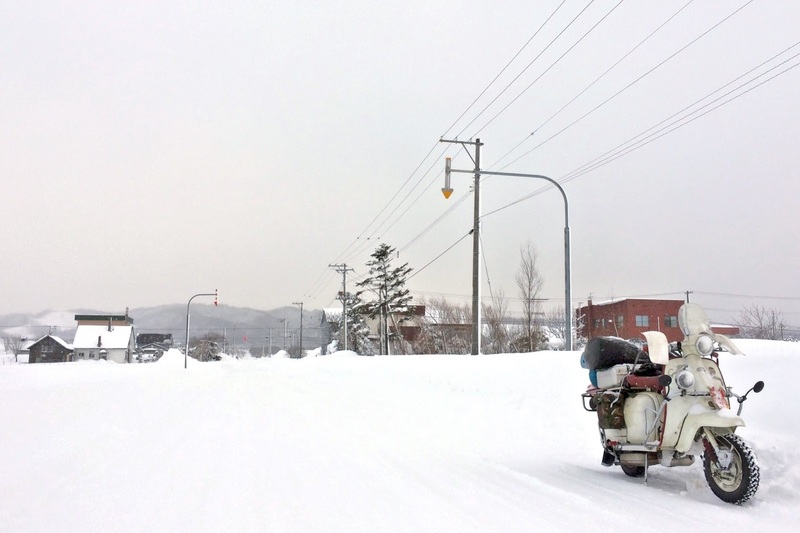 I rode my lambretta SX200 with winter studded tires. I moved carefully: concentration is important, as is giving priority to safety when the weather or road conditions are just too much. 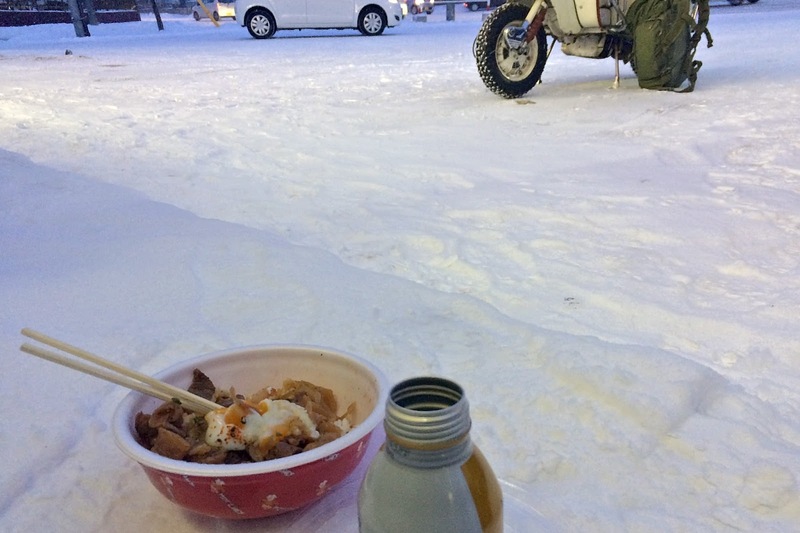 the temperature was often below zero and the snow heavy (the first job of the morning was removing it) but I was lucky enough to be warmed up by some acquaintances made on the road, people that helped me, sometimes even offering me dinner and lodging! 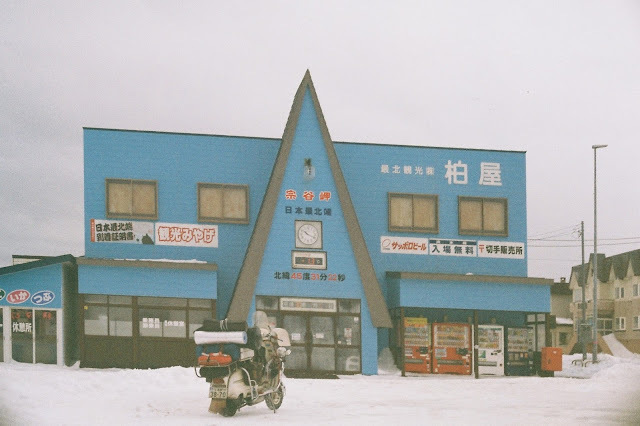 the worst time was between Furano and Iwamizawa, when I had to travel across a difficult pass, and there were no lights, no signal and no gas stations. there were also best moments, though. 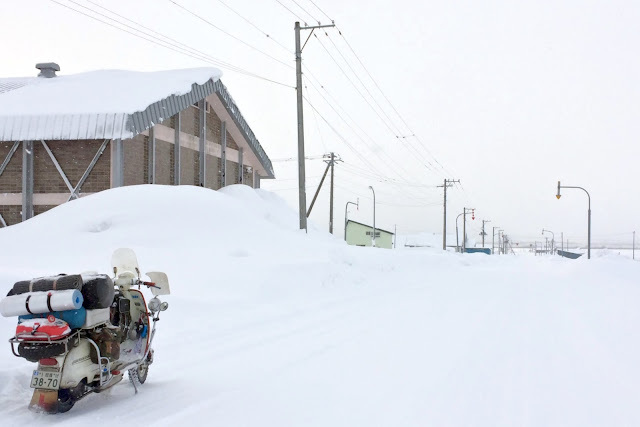 like greeting the New Year in Cape Soya, with many other crazy riders who made this challenging road trip, or when I came back to Oarai, and I was changing the tires for the last time, thinking about how to be able to push the limit like I did, riding in the snow, it’s also a privilege. Silvia: how many riders were on the trip? were all of them riding a vintage scooter? 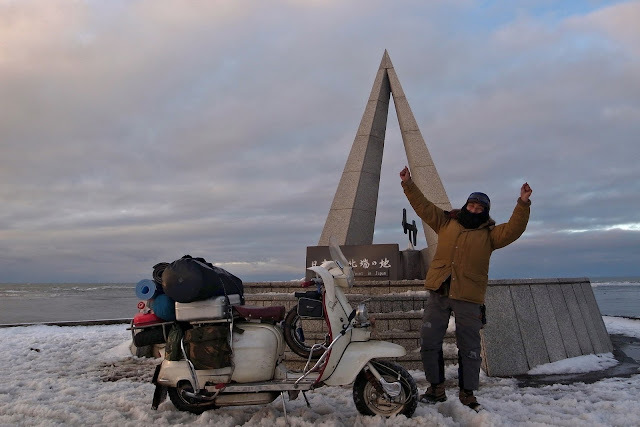 望月リョウ : there were 50 riders, from different areas, who all arrived to Cape Soya on New Year’s Eve. 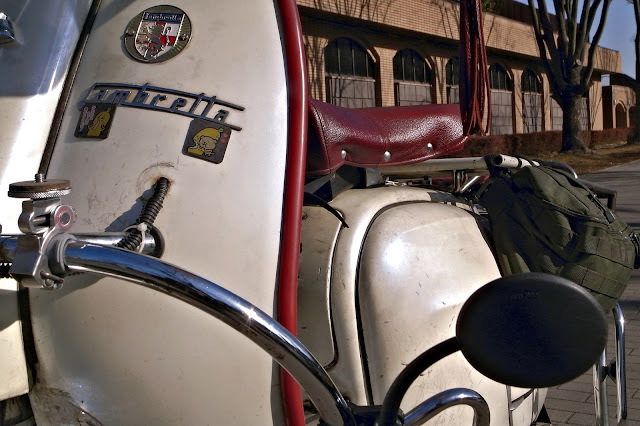 since vintage means riskier, most of them were riding regular motorcycle. Silvia: how many hours per day did you ride during the trip? how many kilometers per day? 望月リョウ : about 12 hours per day, coverning an average of 150 kilometers, and with very few hours of daylight. Silvia: were you expecting so much snow or was it a surprise? 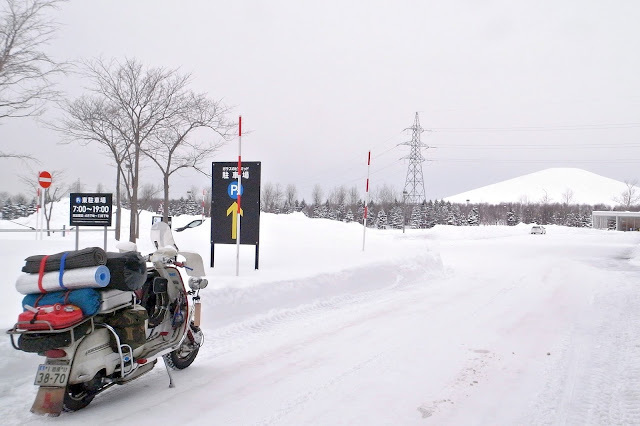 望月リョウ: this time, I was especially willing to travel by lambretta in snow, so I went to the snowiest place of Japan: Hokkaido. I am a free spirit who does crazy things. there was less snow that the last 2 times, anyway. I was almost disappointed! 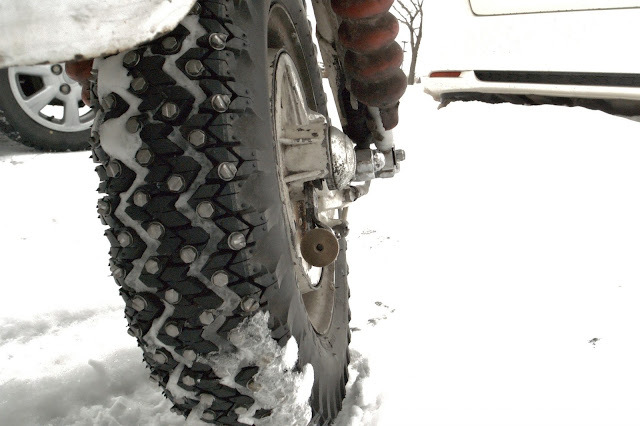 Silvia: do you ride often during winter? Silvia: what kind of gears do you pack for a trip like this one? clothes, special equipment for snow and/or visibility, etc. 望月リョウ : I was wearing a military leg warmer, a neck warmer, a face mask, gore-tex snowboarding gloves, helmet + goggles (because snow can stick to the visor, although in a tricky situation, I trust naked eyes more). for the lambretta, I used leg fog lights purchased in Akihabara and hand guards. I also used a portable warmer and a small field heater (like this one). 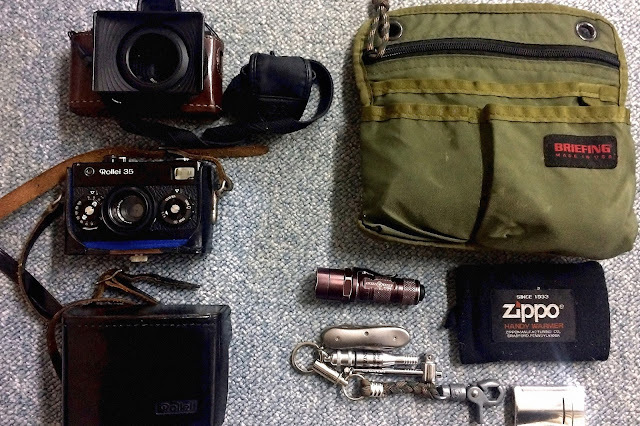 I packed a digital camera (Ricoh GR), that consumed many many batteries because of the cold, and a film camera, same age of my lambretta: a Rollei 35 from 1966. 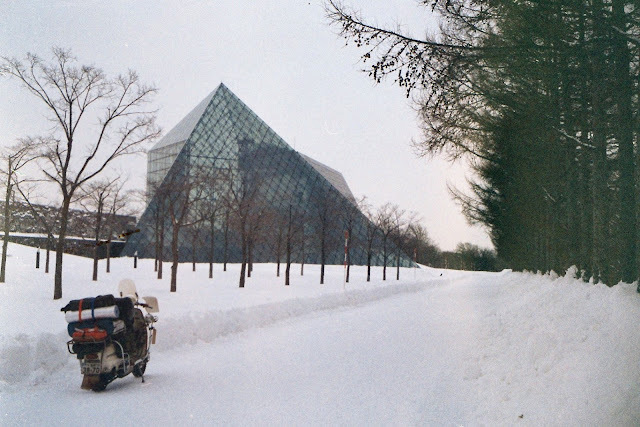 I love the idea to photograph a 60s motorcycle with a 60s camera. 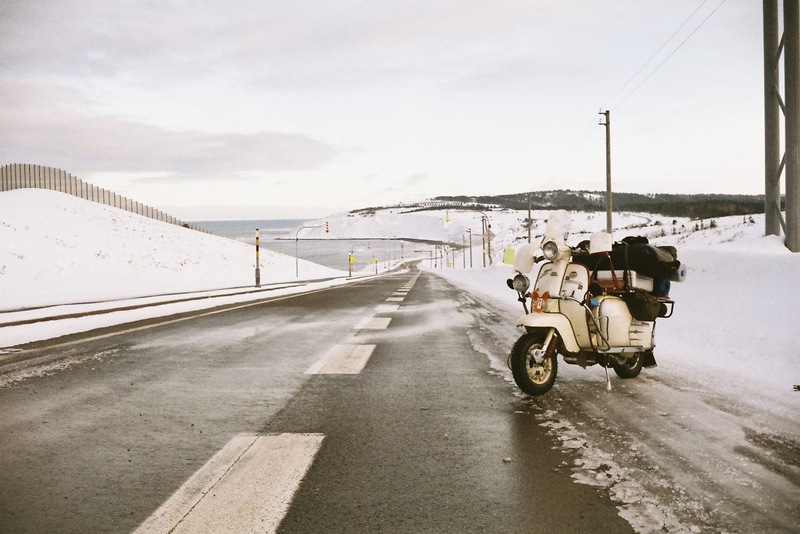 Silvia: do you have any tips for riding a vintage scooter during winter? 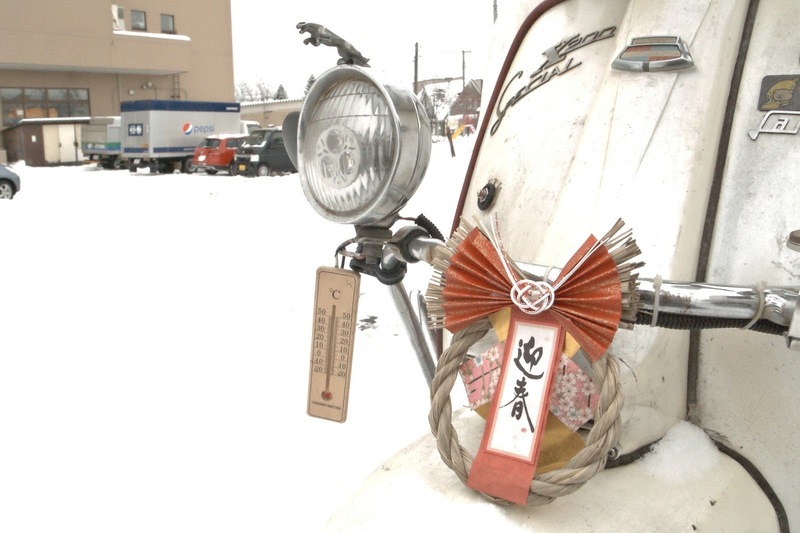 望月リョウ : to have a minimum mainteneance knowledge, and, the most important thing: the “lambrettability”. you can achieve it riding as much as possible. 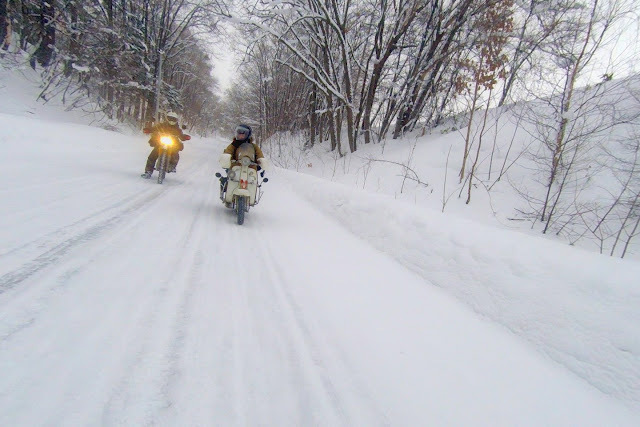 you can learn the characteristics of your bike only by riding it, experience is key when riding in snow. 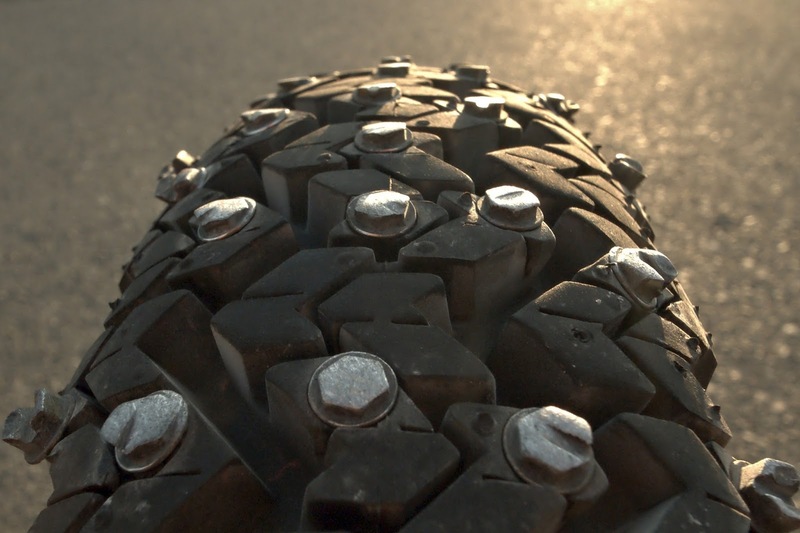 I’ve done many long distance road trips and they need inner strength and a loving touch. 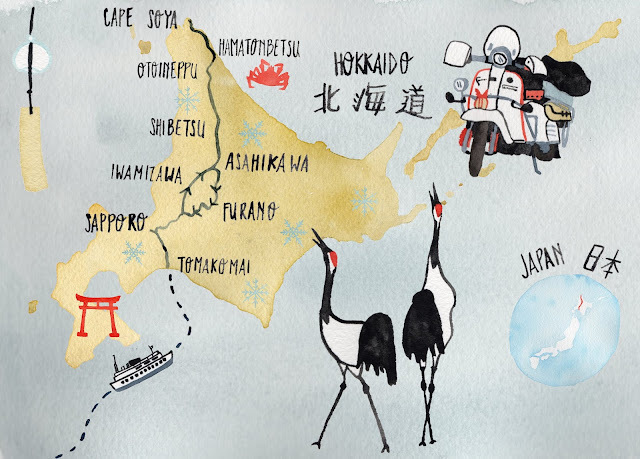 lastly, I want to say that Hokkaido is a wonderful place during winter, I hope to get people to know it also with this article. 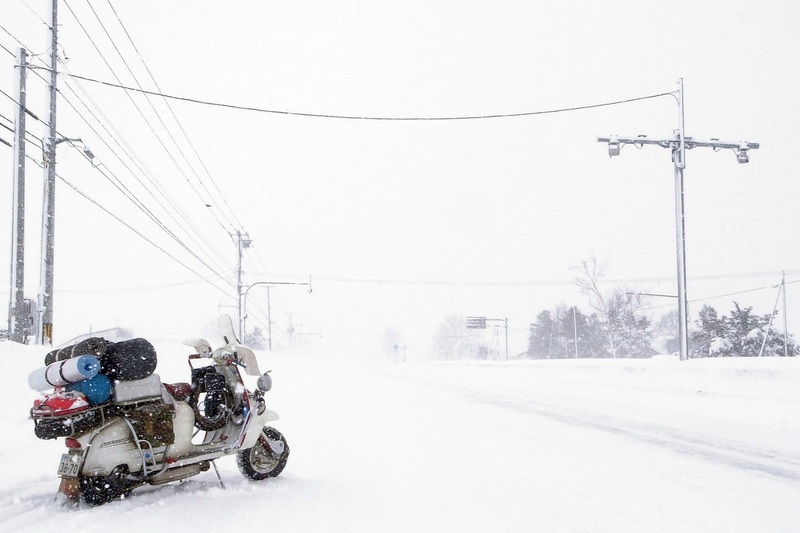 follow Ryo on his cool rides! you can find him on instagram as @r50_1960. Great interview and amazing story. Loved the pictures.